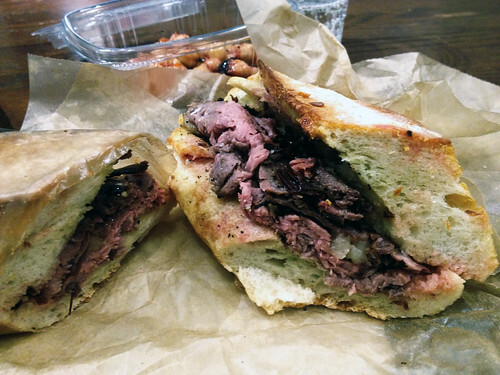 In brief: The prime rib sandwich is absolute awesomeness, the others are okay to pretty good. Eataly is not exactly associated with speed of service or space, but we didn't have a ton of time today and wanted something reasonably easy. Lucky we went over when we did (12:30pm in case you're curious), I looked up halfway through our delicious prime rib sandwich and saw the line stretching way out beyond reasonable.